Depression is largely perceived as a severe feeling of sadness. Most people are unaware of the fact that depression is a condition of the mind. The brain loses certain important chemicals which regulate the emotions in a person leaving the person to feel sad and depressed. 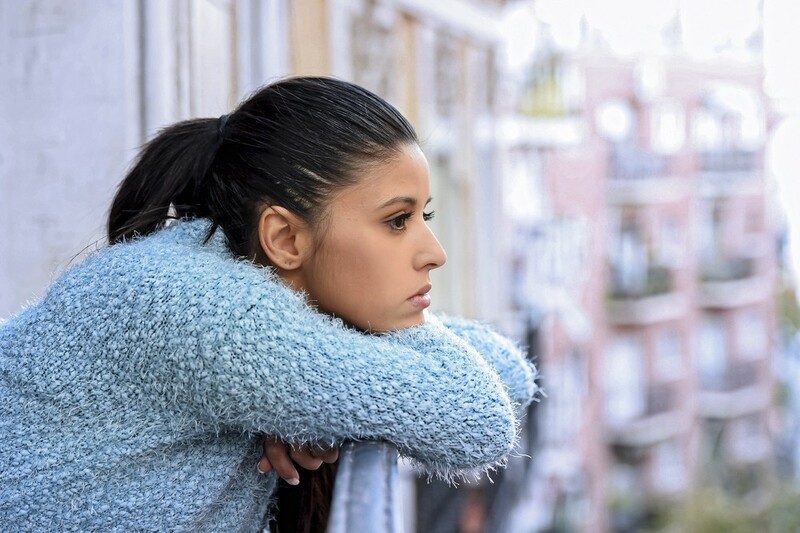 Whenever a person is in a constant sad mood, experiences changes in sleep pattern, is devoid of pleasure in pleasurable activities, has a significant weight loss or gain, is fatigued most of the time, has suicidal thoughts and has unexplained feelings of guilt, he/she might be suffering from depression. It is a very common disease these days and leads to severe complications in the person if left untreated. Some people who do not know or understand depression might blame the person for behaving irrationally on purpose or might even laugh at the suicidal tendencies but only a depressed person knows what she/he is going through. Not just the listed and obvious truths about depression, there are some interesting facts about depression that everyone must know. Depression attacks people differently: In some people, depression is triggered due to loss of a dear one while in some it may happen due to some stressful event in life. Some get it if they have had an episode of depression earlier. Sometimes, a healthy and happy-go-lucky person also gets depression for no rhyme or reason. Hereditary: It may happen to one of the siblings or both if either of the parents has suffered from it. Though this is not always true and the degree of depression varies too, genes do hold a possibility in making a person depressed. Depression in not only in the mind: A depressed person will have symptoms of frequent headaches, stomach issues, physical tension and episodes of shortness of breath. Depression could be a ‘gut feeling’: There is a strong but complicated relationship between the central nervous system, the brain and the ‘good’ bacteria in the gut. Lack of probiotics or prebiotics in the gut could also lead to depression. Hence they say that junk food leads to depression. Depressions brains have different images: A depressed brain looks quite different when compared to a normal brain in their high resolution image scans. This proves that depressed people have a different way of functioning in the brain. Their brain networks and circuits work very differently. Some other health problems also lead to depression: A person suffering from diabetes, multiple sclerosis and heart disease is susceptible to developing depression. Depressed people look normal on the outside: This is a hidden illness which most of the time does not show any signs on the outside. People look happy and cheerful on the outside but are in fact struggling with depression on the inside. This is one of the funny facts of depression. Exercise helps to cure depression: When a person exercises, the natural compounds in the body are stimulated which help to make the person feel better. One of the ways of treating depressed people is to prescribe 30 minutes of daily exercise, early sleeping patterns and healthy food. Depressed people might need combinations of anti-depressants: Some people do not get relief with just one anti-depressant. They might need another one in combination with the first one to get them some relief. According to some doctors, these people have treatment-resistant depression which does not get healed with certain medications. Therapy helps to treat them: Anti-depressants are often administered initially to let them come to a normal level of understanding after which therapy and counseling is given with an aim to change their faulty thinking patterns. They are given cognitive behavioral therapy, psychotherapy, transcranial magnetic stimulation and other types of therapy. Warming up therapy can sometime be useful: According to some doctors, some people get depression owing to the altered or faulty thermoregulatory systems in their body. Warming up their bodies with the help of hot baths, saunas or hot yoga is sometimes quite beneficial. Such people lose their confidence and decision making capability: The brains of such people are often clouded and inhibit them to think rationally, make proper decisions or to act with confidence. They often call depression as the worst thing happened to them. They feel that their thinking is distorted and that their mind is playing tricks on them. It happens in summers mostly: Another fun fact about depression is that it doesn’t happen during holidays but happens mostly in summers. Depression makes your selfish: Depressed people find it really hard to give or share. It’s tough for them to share their stuff when they themselves are loathing in self-pity. Such people should read books to know about their symptoms and always have a confidant to share their innermost feelings. One of the facts about depression and suicide is that the person thinking suicidal plans is very lonely. Depression is often diagnosed as anxiety: Most of the doctors fail to diagnose depression the first time and brush it off as anxiety. This leads to ineffective treatment and increase in the symptoms. Constant irritability can be a sign of depression: If a loved one constantly finds reasons to irritate you, fight with you or is irritated themselves with everything, then they might be suffering from depression. Only you can help them come out of this condition. Marijuana and Alcohol are depressants: Though they make you feel light for a short duration, they get you addicted to them and will make your condition worse over a period of time. It’s not right to get hooked or addicted to anti-depressants also as they have their side-effects. The first person to help you fight depression is you yourself: Constantly denying depression will only make your symptoms severe. One can help you out of this condition only if you are willing to oblige. Depression drives most of your friends and well-wishers away from you: None wants a company of a constantly depressed person and to be engulfed in their pain all the time. If you do not heal yourself, eventually none will stay by your side. It affects a lot of people every year in the U.S: Around 15 million adults in America suffer from depression every year. It affects women more than men: Women are twice as susceptible to depression as men. Colds attack depressed people more: Illnesses like colds attack depressed people more than normal people. They lose their immunity to fight against such diseases. People believe that suicides occur during a particular time of the year and its mostly in winters. But in reality, suicides occur more in spring time due to the changing levels of the natural light. The rates of suicides increase as the altitude increases. Suicide rates are 70% higher in houses which are at an elevation from the sea level. People commonly believe that teenagers are at a higher risk of suicide. But in reality, the elderly have a higher possibility of committing suicide. Some believe that depression always leads to suicide. But in fact, alcohol plays a higher role in suicidal deaths than depression. It’s a common myth that depression and suicide rates are higher in rich countries but it has been found that suicidal deaths are higher in poorer countries. Many people believe that depression is not an illness. But in reality, depressed people lack some chemicals in their brains leading to this condition. Some believe that if desired one can just snap out of depression. Buts it’s a medical condition and one just can’t snap out of it when one wants. It needs treatment. A common myth is that it happens only due to some sad incident. Sad incidents like loss of a dear one, business loss or academic loss. But in reality, even happy and busy people can get into depression. Some say that taking anti-depressants will change one’s overall personality. But in truth, they only change the chemicals in the brain triggering depression. 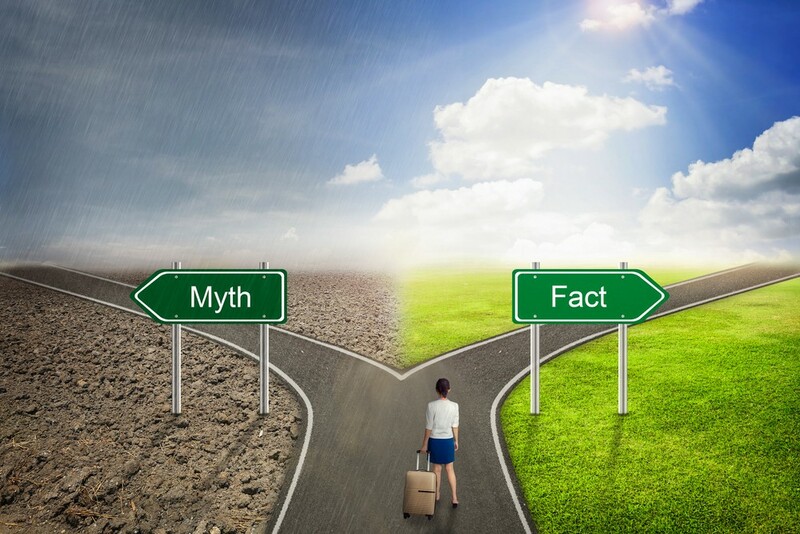 A common myth says that once you are on anti-depressants, you will have to take it forever. But in fact, after an individual has completely healed, he/she can leave the anti-depressants gradually without causing any harm to their lifestyles. Some just don’t let the depressed people talk about their feelings believing that doing so will make them rethink on their negative thoughts and will make matters worse, but in fact, the more a depressed person speaks up, the more she/he lets the others know about his thought process for better treatment and also manages to let go of his hidden ghosts. Talking is in fact a therapy. Depression can happen to anyone in one’s lifetime and only a near and dear one can help you get out of this condition. 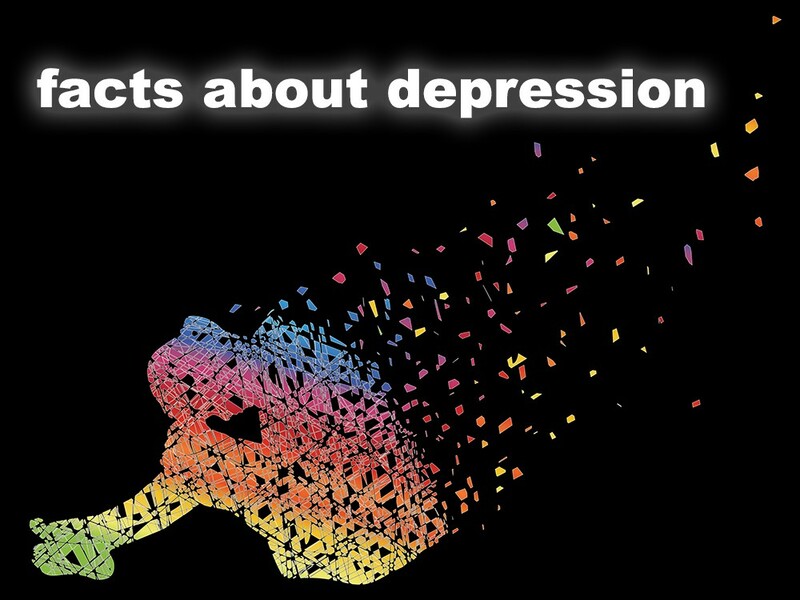 Read all the information available about depression to know more about the disorder. This will help you get rid of myths and seek effective treatment for this condition. It is a treatable disorder and none should be left to live with it forever.